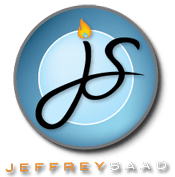 Jeffrey Saad has a passion for vibrant international flavors, and he’s circled the globe in hot pursuit of the spices that define the special pizzazz in the world’s most intensely flavored cuisines. Saad, a rising star on the Food Network, has gathered the best of the recipes he’s created—personal takes on the regional dishes he’s savored—in his debut cookbook, Jeffrey Saad’s Global Kitchen. After deconstructing the “flavor families,” the unique constellations of ingredients that give the cuisines of Mexico, Asia, India, the Middle East, a trio of European hotspots and our amazing American melting pot their distinct identities, he gets to the real fun—infusing the bold flavors of one tradition into another and coming up with a fabulous juxtaposition that sends your palate flying off on its own magic carpet: Moroccan harissa jazzes up the mayo on an all-American BLT; Indian garam masala makes Chicken Pot Pie sing a new song; Chinese five-spice powder empowers French Toast; and green chile gives Cod Tapas a New World zing. Stay home while your taste buds roam.